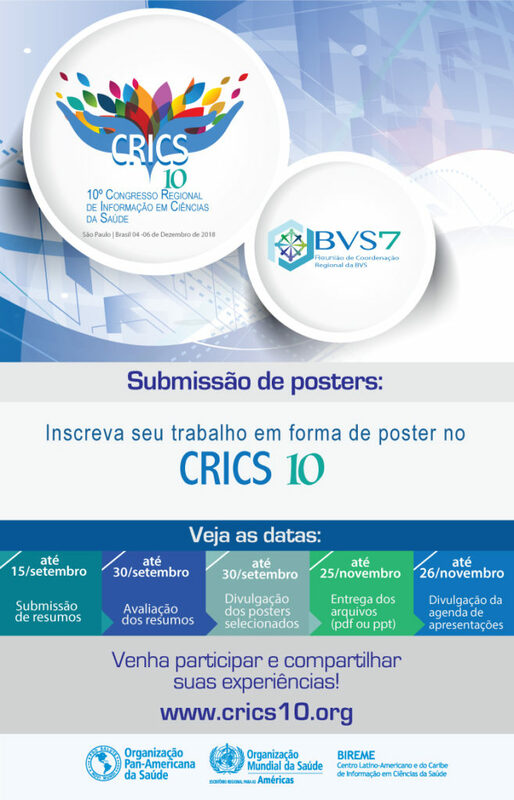 The 10th edition of the Regional Congress on Health Sciences Information (CRICS10) and the 7th Regional Coordination Meeting of the Virtual Health Library (VHL7) will take place in São Paulo from December 4 to 6 2018, with the central theme of “Advancing towards the 2030 Agenda: Contributions of evidence and knowledge”. CRICS is one of the most important forums on health information in the Region and its theme aspires to the sharing of experiences related to the Sustainable Development Goals, such as health, environment, and education, among others. Participation in the Congress is formalized through a Registration form and the payment of a pre-established quota. Promotional prices are applicable for registrations formalized until September 30, as well as for students. Check other dates here. CRICS10 will be a unique opportunity for exchanging information and experiences on the thematic axes of the event. Participants will be able to attend keynote speeches, round tables and panels with renowned specialists from the Region and abroad (see the Program), as well as present and share their experiences or research during the Poster Session. Individuals interested in this modality must submit an abstract of their work through a form. 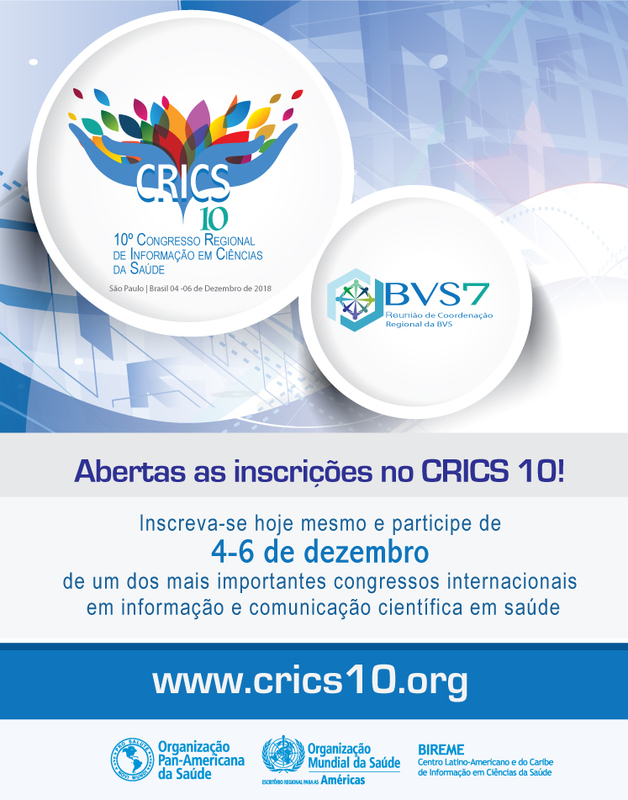 Abstracts will be evaluated by the CRICS10 Scientific Committee considering criteria of relevance with the thematic axes of the Congress and quality of the information. There is no limit to the number of abstracts that can be submitted by the same author or group of authors. Relevant information and key dates are available on the Abstract Submission page. Register today and submit an abstract of your paper to CRICS10. Join us to debate relevant issues such as Innovation and eHealth, Information Management, Knowledge Management, Policies, Strategies and Evidence Informed Decisions, Intersectoral, Open Science and Scientific Research and Communication with the community of researchers, managers, professionals and specialists who will attend the Congress.